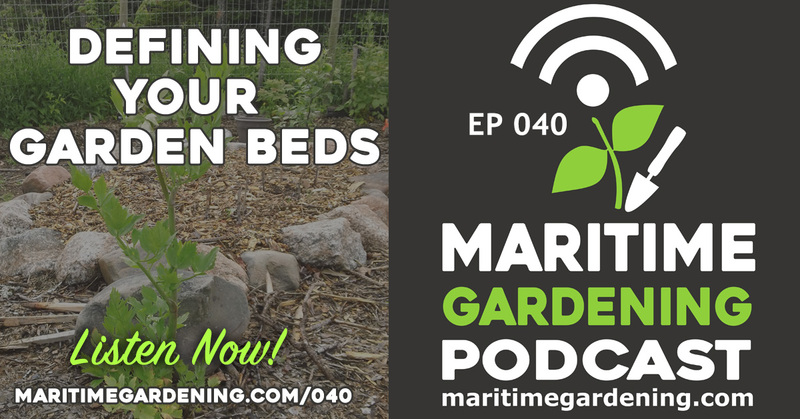 In this episode, Greg talks about various ways to define your garden beds. Love your blog and video! I am putting in a new garden at my house in rural West Dublin, NS. I am thinking 8 feet by 4 — 2 x6 with 4 inches of soil and 2 inches of mulch as you recommend. Do I did to rototill the soil beneath it? The land I am planting has lots of rock and shale? Also can I outline the border with old fallen small trees in my woodlot?